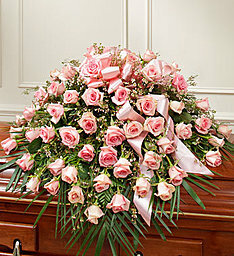 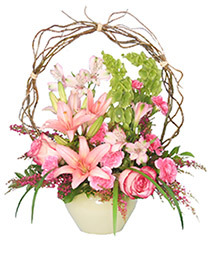 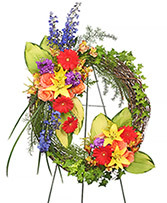 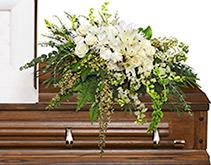 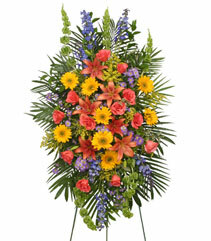 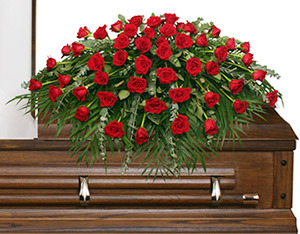 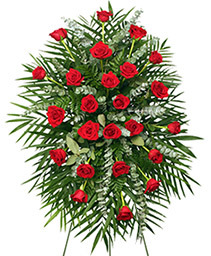 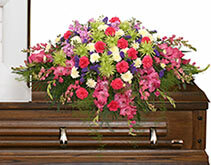 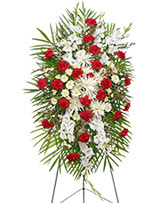 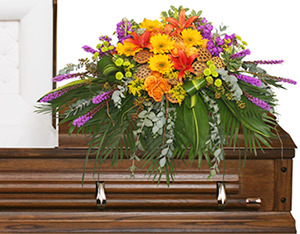 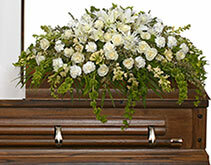 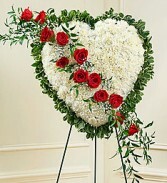 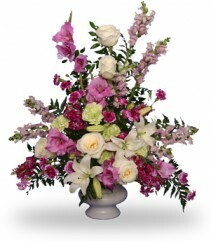 Funeral Flowers from PRANGE'S FLORIST - your local Gainesville, FL. We love you and we will miss you. Red roses convey your deepest sentiments. 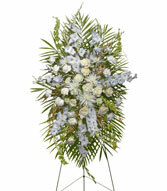 Appropriate gift for funeral or memorial service, the peaceful white blooms and lovely mixed green foliage are a soothing sight. 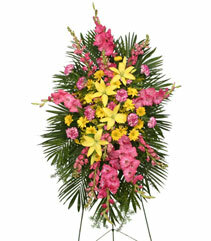 Lovely standing spray with pink and yellow blooms. 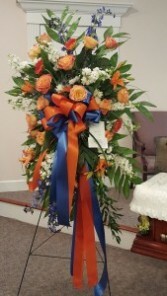 A beautiful memorial piece to honor one who was well loved. 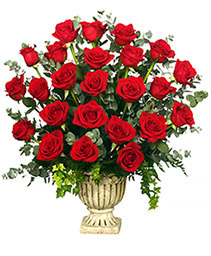 You have been a blessing to us, and we love you. 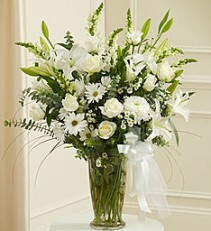 White and cream blooms such as roses, snapdragons, chrysanthemums, lilies and others in a peaceful and dignified array. 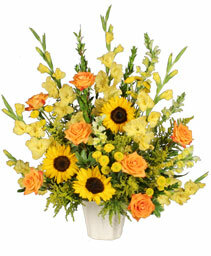 Lovely and light with rich mixed foliage. 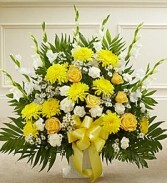 Tells of your care and admiration. 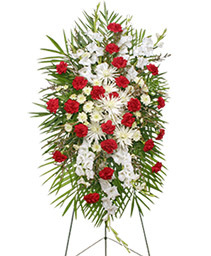 White carnations, roses, chrysanthemums, snapdragons and more with draping foliage. 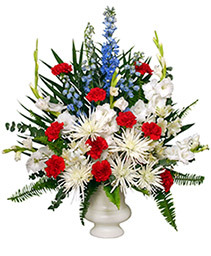 Elegant and distinctive red and white blooms such as carnations gladiolus or snapdragons, chrysanthemums, and lush mixed foliage compose this beautiful array. 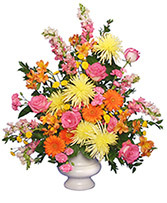 Lovely pink and green blooms such as chrysanthemums, stock, snapdragons, carnations, statice and more grace this lovely, light hearted arrangement. Pink Roses, Bunch Wax Flower, Leatherleaf Fern, Emerald Palm, Variegated Pittosporum On Smaller Sizes.